I love the Black Panther. He is by far one of the most interesting and compelling characters in all of comics. 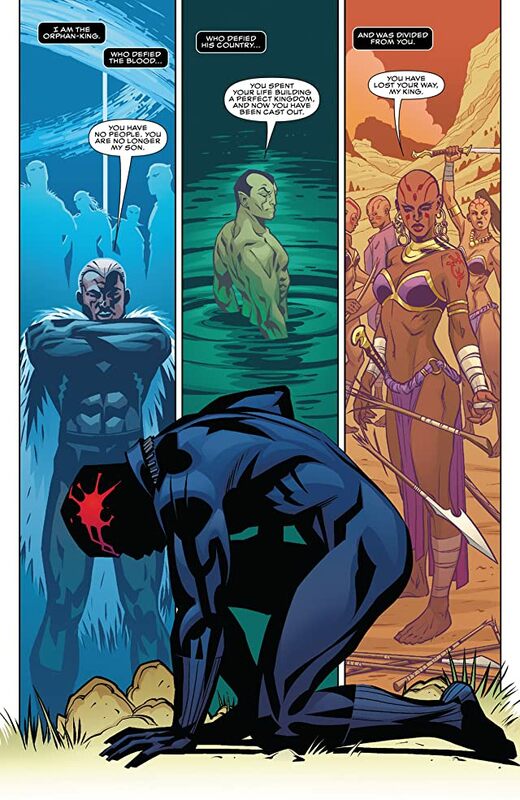 I’ve always been particularly drawn to the aspect of his story that revolves around T’Challa having to live up to the title of “Black Panther”, which belonged to his father before him and goes back ages. There’s something very cathartic in reading about how he pursues escaping living in that shadow, but also not bringing dishonor to the title in spite of it. It is for this reason that I was excited when Ta-Nehisis Coates was announced as the writer for this new series. 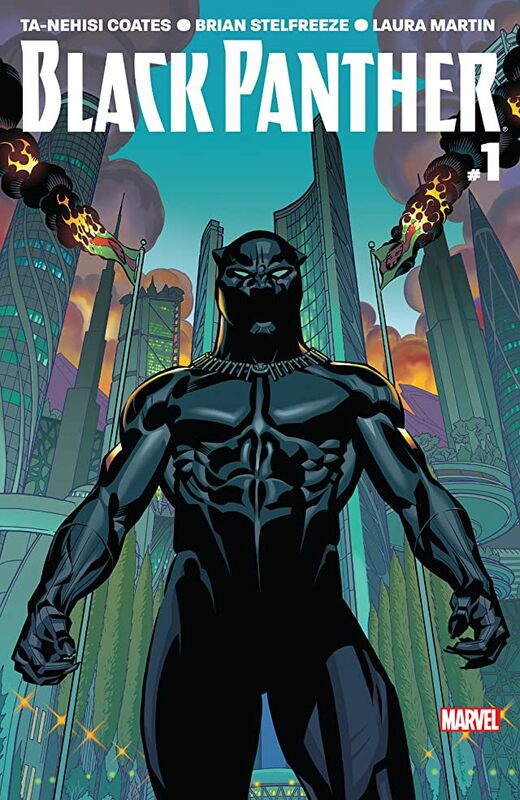 Coates has been a professional writer for about two decades but this is his first time writing a comic. Last year he released his second book, Between the World and Me, which is written as a, deeply enthralling, letter to his son about his life and his experiences as an African-American man in America. I love it. It’s an eye-opening text that has helped me to better understand dynamics of society & culture that I’ve been very ignorant to, and I highly recommend it. I’m also very glad I read that book because seeing how Coates writes non-fiction, personal material was a window into his fearless creativity. He begins this new era of T’Challa’s story by showing us a burdened man whose kingdom is crumbling, both figuratively and literally. 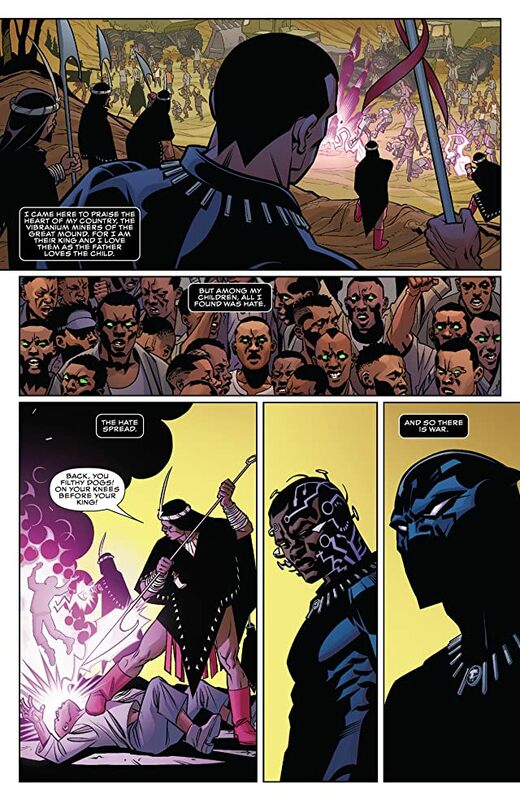 Not only him, but many leaders and crucial figures of Wakanda’s hierarchy are in great doubt and distress, but they show tremendous bravery in the face of civil upheaval and certain death. This is exactly what the nature of the Wakandan people has always been and it’s very refreshing to see such a meaningful take on that. Taking on art duties is the legendary Mr. Brian Stelfreeze. Brian has been working in comics for damn-near 30 years or more and he’s incredible. He perfectly captures necessary details without over-complicating his panels, and his line-work is phenomenal. You’d likely think that someone who’s been working so long should be doing perfect and phenomenal work, but that’s just not always the case so these brilliant artists that have been doing consistently flawless work for their entire careers deserve to have it acknowledged. Additionally, Laura Martin’s colors are so incredibly vivid and beautiful. It’s evident that she was the perfect color artist to bring aboard the series. 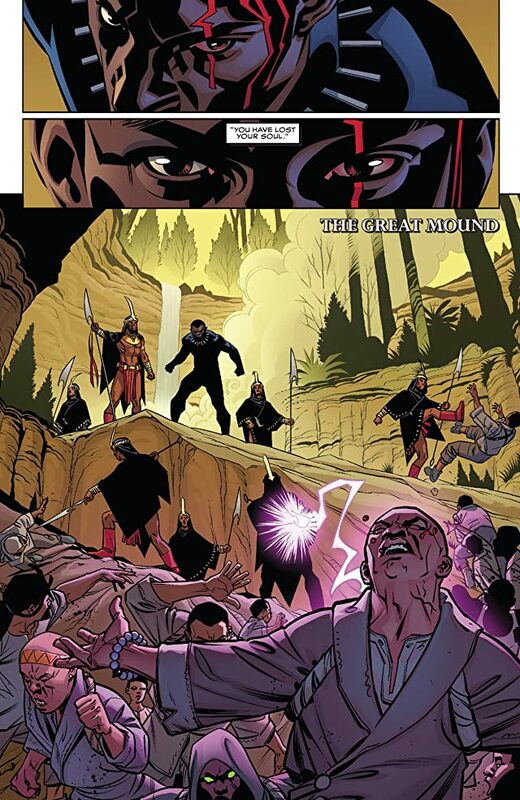 Black Panther #1 is an impressive introduction to a new chapter in the story of the Black Panther and his Wakandan homeland. The writing has incredible potential and the art is magnificent. If you haven’t picked up a copy yet then head down to your local comic shop and grab one RIGHT NOW, assuming they aren’t already sold out. If they are, well, then… try MidtownComics.com, or eBay. Basically, do literally whatever you can to get your hands on this comic, short of causing bodily harm to you or someone else. It’s that worth it. To be honest, this was pretty easy decision. Public Enemy is the only logical choice for pairing with Black Panther. You need to listen to some strong, socially conscience hip-hop while you read this book, and Public Enemy paved the way for that. I’m including a YouTube link to my favorite album of theirs, Fear of a Black Planet, but I’m also including the music video for “Bring The Noise”, the mash-up they did with Anthrax, which was the first time I’d ever even heard of Public Enemy because… well, you know, white metalhead kid and all.